The Baldwin-Reynolds House Museum – Keeping History Alive! Visit the Region's Most Extensive History and Art Museum! From the U.S. Supreme Court to Meadville's first indoor plumbing, there's so much to learn! Check out our hours, directions, and more to make your visit enjoyable and interesting! Get your tickets to Meadville's premier history, arts, and culture venue! From museum Christmas ornaments and art prints to books on every subject! Built in 1843 by United States Supreme Court Justice Henry Baldwin, the Baldwin-Reynolds House Museum is the premier home of history, the arts, and cultural experiences in northwest Pennsylvania. Our mission is to bring history and the arts to life...and to the lives of our community. Through FREE tours generously sponsored by Armstrong Cable Company, an extensive event and program schedule, and complete immersion in one of the largest and most significant collections of art in western Pennsylvania, we are proud to advance this mission. From our Biannual "Trees of Christmas" celebration to dinner theaters, lectures, and more- the museum is alive with activity year-round! 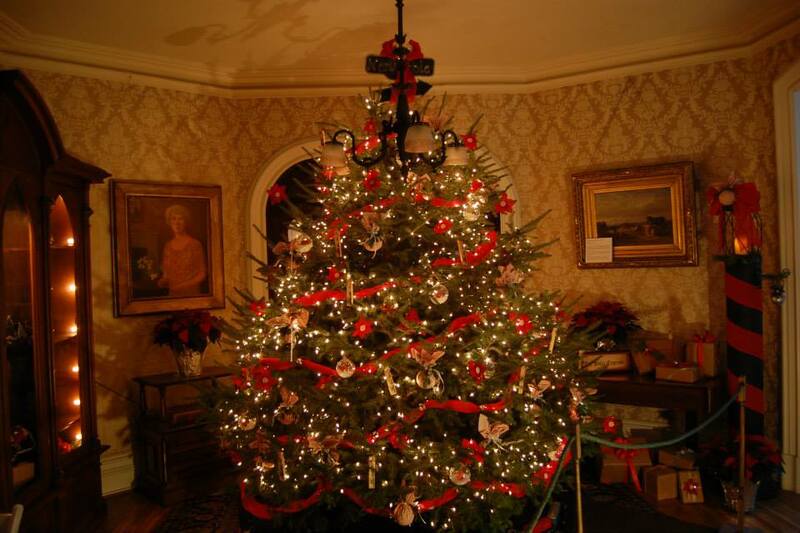 The Meadville Garden Club has been a 40+ year partner of the museum in their decorating of the mansion for the Christmas season. Their ever popular event will return in 2018! From the great american satirist Mark Russell, to an upcoming concert by the America's Got Talent stars, VOX, the museum brings the best and brightest minds, voices, and senses of humor to Meadville for the enjoyment and enrichment of the community. Through a partnership with local cable television provider, ARMSTRONG, the museum is proud to announce our general summer tours are free and open to the public. We couldn't be happier to bring history to life for more people each year through this program! The Baldwin-Reynolds House Museum is so much more than a museum. From the serene gardens to the great walking areas, the museum acts as a public park, a botanical garden, and more! Talon Zippers, Spirella Corsetes, Channellock Tools, and more - local industries have built our history and so can your company. Join the list of current businesses that support the museum. The philanthropic support of our patrons has been an appreciated tradition since since the owners of Talon Zipper helped purchase the museum for the community in 1963. Take a place among them with your contribution. The museum is a conduit to step into the past. Access the many hidden treasures or our history through a variety of affordable membership options for families, students, and individuals.